Building a Custom Home is an exciting, yet time consuming endeavor for an already busy client, which is why our team has utilized the use of BuilderTrend and developed processes that will help you visualize a home to suit your lifestyle all while working diligently to reduce the time involved. Carter, Inc. makes it our mission to simplify the custom home-building process, and help our clients to enjoy the time spent in creating their new home. We pride ourselves in a clearly and simply stated process to building your dream home. Let’s get started! Getting started by answering a few basic questions. What neighborhoods are you interested in living and lot size? If you already own a lot, please take a look at our Homes Available on Your Lot page. Is it feasible to build what you want, where you want to live? What types of materials to you want to use in the construction? How will you fund the project? Locating the right lot is often the hardest part of the entire process. 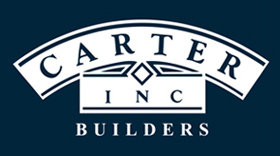 Working with Carter, Inc. you will be able to take advantage of our expertise in purchasing your lot. 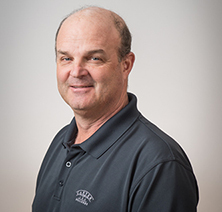 Carter has developed relationships with many local Real Estate Agents, building industry professionals, and our direct marketing to property owners that produce the best buildable lots before they ever make it into the Multiple Listing Service “MLS”. There are opportunities to locate a buildable from the MLS, however often times these properties have been reviewed by several local builder’s and determined to not be a suitable building lot. By working with Carter, Inc to review these listings we will be able to guide you in completing your own feasibility study before you decide to make an offer. If you already have your own lot, we will build on your lot. Feasibility Study. During this short timeframe we will have our surveyor determine the size of a home that will best fit the lot. Carter will review and put together the lot contract with you. This is the time where you will work with our in-house designer and our architect for one of our exclusive designs or you may also choose an outside architect to design a custom home. Exclusive Carter Designs, with this option all of the architectural and structural engineering fees are included in the Carter turnkey price. We can modify or revise a previous Carter design to your unique specifications for a fee. This process can take anywhere from 30 to 60 days to complete. The owner will pay the Civil Engineering fees. Custom Design, with this option Carter can recommend an architect based on the style of house desired and work with the Owners to design the home of their dreams. This process can take anywhere from 2 to 4 months. The owner will pay the Architectural and Civil Engineering fees. Once a preliminary sketch plan is completed Carter will provide a preliminary budget to determine if the design will fit the client’s budget. During this phase we will initiate the civil engineering field work needed for permitting. Once the final permit plans are complete Carter provide a competitive contract proposal for your new home.